almost anyone can add to or subtract from. 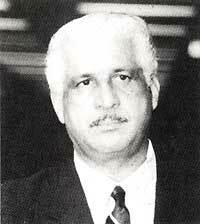 Dr. Edward Vivian Scobie was born in 1918 in the Commonwealth of Dominica, a former British colony. As a working journalist in London, Scobie became a correspondent for the Chicago Defender and for Ebony and Jet magazines. He contributed to many London newspapers, magazines and the wire services, and became a frequent broadcaster and scriptwriter for radio and television. From 1961 to 1963 he edited Flamingo, a monthly magazine published in London for African people in Britain, Africa and the Caribbean. Scobie was twice the Mayor of Rouseau, capital of Dominica, and vice-president of the Dominica Freedom Party. Often times we as parents, and indeed as Black people tend to live in all or nothing, black or white worlds. That's not always the best place to raise children in though. While the Tell-Lie-Vision programming often has extremely negative effects, its only a tool. Far too much we allow our enemies to use it against us. Below are a few shows that can be used to weaponize that tool for Black Power. 1 I compare the fall of America with the fall of ancient Babylon. Her wickedness (sins), is the same as history shows of ancient Babylon. "Babylon is suddenly fallen and the destroyed howl for her; take balm for her pains, if so she may be healed" (Jer. 51:81). What were the sins of ancient Babylon? According to history she was rich; she was proud and her riches increased her corruption. She had every merchandise that the nations wanted or demanded; her ships carried her merchandise to the ports of every nation. 2 She was a drunkard; wine and strong drinks were in her daily practice. She was filled with adultery and murder; she persecuted and killed the people of God. She killed the saints and prophets of Allah (God). Hate and filthiness, gambling, sports of every evil as you practice in America were practiced in Babylon. Only America is modern and much worse. Ancient Babylon was destroyed by her neighboring nations. 3 I warn you to let their destruction serve as a warning for America. This people has gone to the limit in doing evil; as God dealt with ancient people, so will He deal with the modern Babylon (America). As God says: "Son of Man, when the land (people) sinneth against Me by trespassing grievously, then will I stretch out Mine hand upon it, and will break the staff of bread thereof, and will send famine upon it, and will cut off man and beast from it" (Ezekiel 14:13). This page was last modified on 24 March 2015, at 21:00.